Kick Start every Month with a Fresh Beat!!! Join us every last Friday of each month from 7:00pm – 9:00pm. Drum Circles offer an exciting opportunity to join in the celebration of drumming with other enthusiasts, using organized rhythms to enhance both drumming and listening skills. Using a variety of drums and other percussion instruments, these musical sessions are improvised and co-created by all the participants.Drum circles are a fun way of group expression, not controlled by genre, instrumentation, or directed by a particular person. They are used for recreational music making, and to facilitate other activities like team-building, wellness, education, celebrations, personal growth, etc. 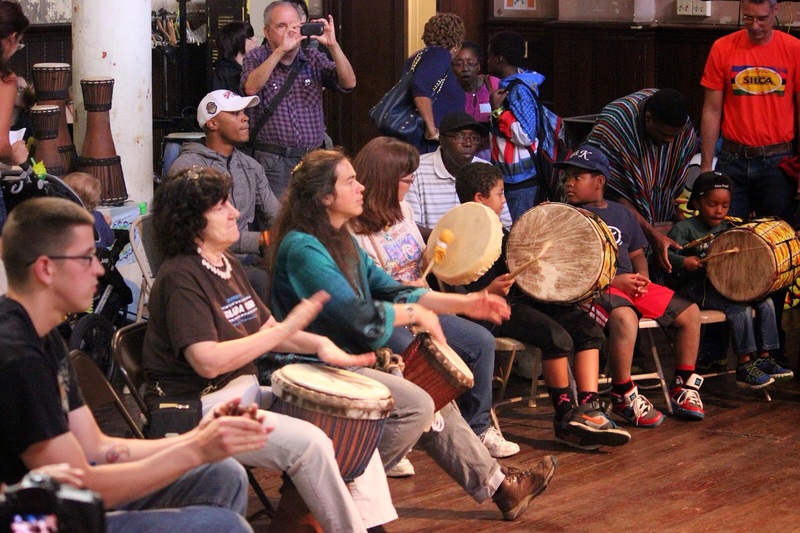 Community Drum Circle sessions are held on the last Friday of every month.